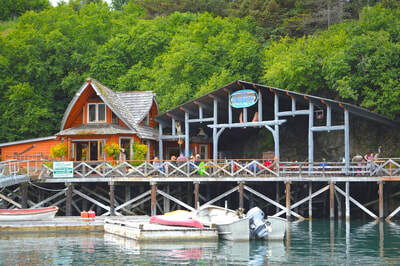 ​Alaska’s Ridgewood Wilderness Lodge is located in beautiful Halibut Cove, just 7 miles from Homer, Alaska. Halibut Cove is an Alaskan paradise. 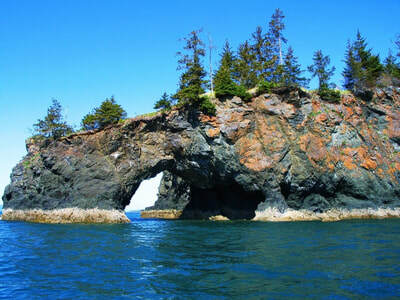 Because Halibut Cove is an island, it is only accessible by boat or plane. 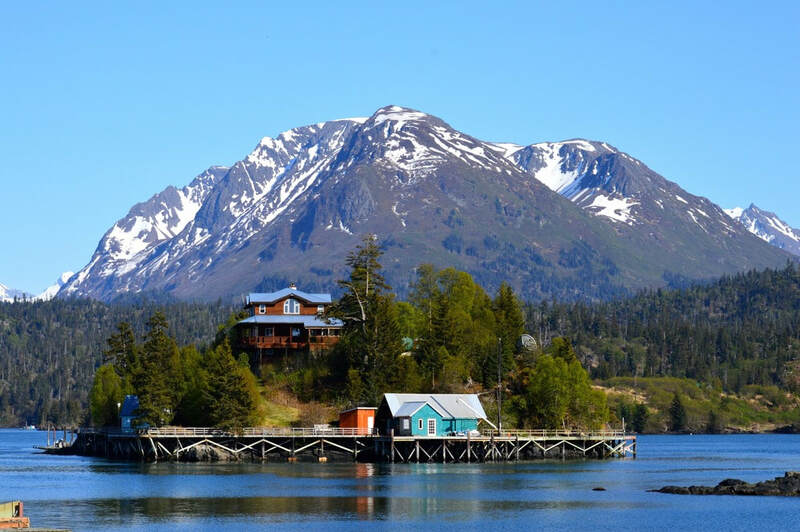 Located on the Kenai Peninsula, on the south side of Kachemak Bay, Halibut Cove is a peaceful, quaint community surrounded by mountains, forests, glaciers, coastline and oceans and is home to abundant wildlife. 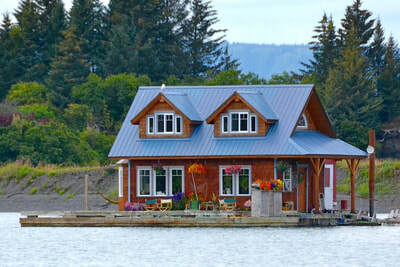 Artists, craftsmen, fishermen and abundant wildlife make up the small community of Halibut Cove. 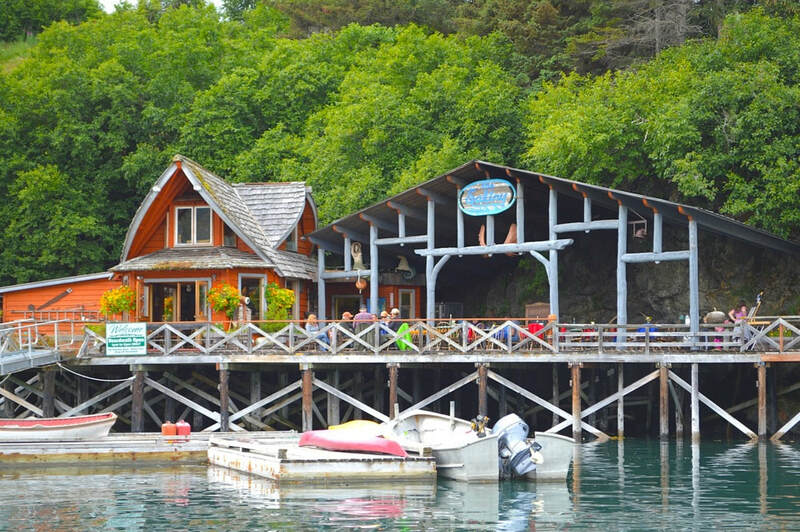 From the floating post office, to the boardwalk that runs along the water’s edge past the coffee shop & art galleries to the local restaurant, visitors to Halibut Cove will be enchanted by this unique area of Alaska. Homer, Alaska, known as the “Halibut Fishing Capital of the World”, 200 miles south of Anchorage, is surrounded by amazing wilderness and ocean on Kachemak Bay. 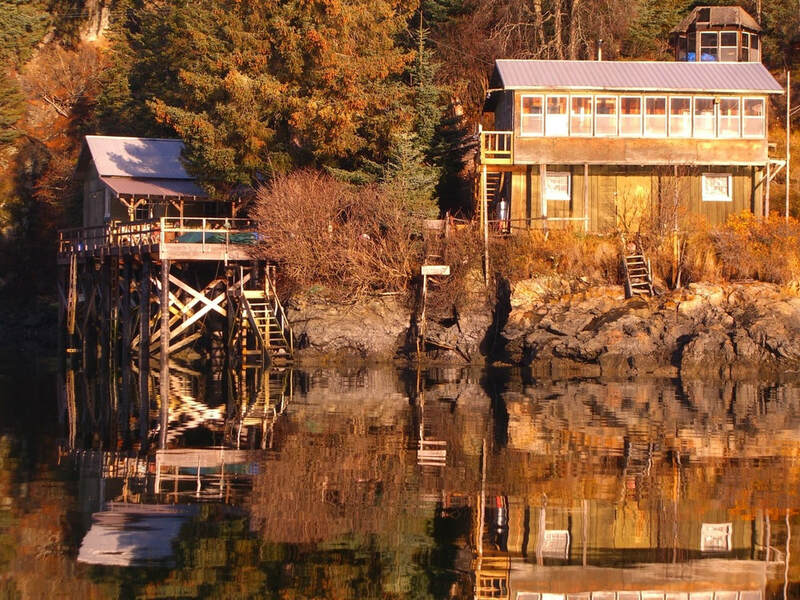 This Alaskan hamlet has 1 restaurant, 2 art galleries, and a plentiful opportunity to enjoy the outdoors. The Homer Spit (a long, narrow point of land extending out into water) has the longest road into ocean water in the world and is rated as one of the top 100 beaches in the United States. 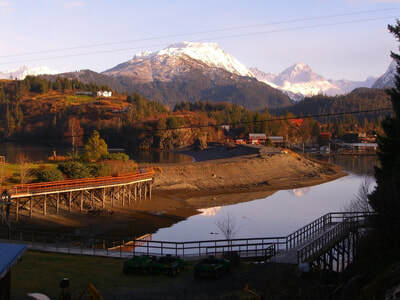 The Ridgewood is located in a secluded spot in Halibut Cove, adjacent to the Kachemak Bay State Park and Kachemak Bay Wilderness Park, surrounded by pristine wilderness and gorgeous grounds. The Ridgewood is the perfect home base for any of your Alaskan adventures whether it be bear viewing, halibut and salmon fishing, guided hikes, flight seeing or wildlife viewing. The natural beauty and adventure of Alaska awaits you at the Ridgewood. From Homer, AK, getting to the Ridgewood is an easy trip by water taxi or float plane across the Bay which we will arrange for you. Homer, Alaska is located just 45 minutes by air or a half day drive from Anchorage. If you have the time, and the weather is cooperative, it is a beautiful drive. If you choose to fly, Homer is serviced by Ravn Alaska, and you can make reservations with them through http://www.flyravn.com. 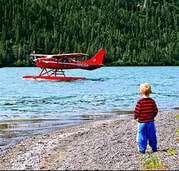 Transportation to Halibut Cove, Alaska is by water taxi or float plane only. We will make the travel arrangements for you, from Homer to Halibut Cove, at the time of your booking, and payment should be made directly by the guest at time of check-in on the end of the Homer Spit. A Scandinavian fisherman found the tremendous herring spawning area in the Halibut Cove Lagoon in 1911 - a lagoon shaped like a balloon with extreme depths, inside mountainous hills with a narrow and shallow entrance. For the herring to gather and spawn, the lagoon habitat was perfect. Scandinavians came in substantial numbers to build 32 saltries, and harvest and preserve the herring roe. Many European men and women came to the winter fishery to work and Scottish ladies were praised for their skills. They came in the spring and left when the production was finished. Ishmailof Island, just west of the entrance, provided a place for housing and warehouses. Halibut Cove grew to considerable numbers. Professor Morgan Sherwood, a historian, found a letter in the archives of Washington, D.C, asking the government to stop the saltries from dumping their waste in the lagoon, for fear that pollution would harm the herring spawning grounds. The letter in reply said, “On a huge coastline like that?! You have to be kidding!” The fisheries ended in 1928 when the herring failed to return. 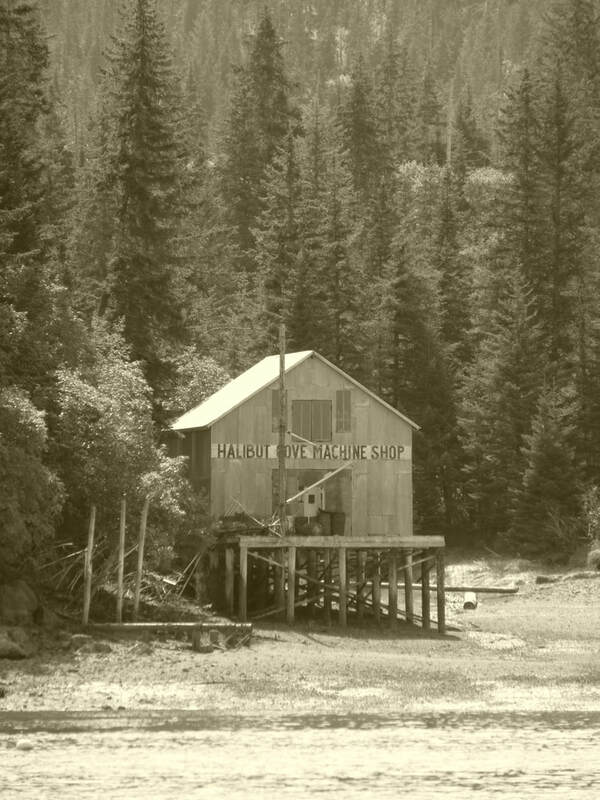 The herring fishermen left empty warehouses and a vacated village except for a few Scandinavian fishermen who were already fishing salmon and halibut for the canneries developing in Seldovia. The influx of people being offered homesteads by the government on the Kenai Peninsula drastically escalated in the 1930’s. Kachemak Bay had been of interest to coal mining companies because of the rich coal veins that were on the north side. A dock and warehouse were built at the end of Homer Spit to accommodate the ships that came for coal to deliver to markets, as well as coal for boat fuel. The port was a valuable asset for the homesteaders too. The community slowly grew with fisherman and homesteaders. 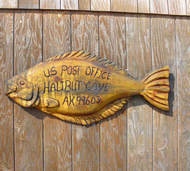 New fisheries were developed, and canneries were built on the Homer Spit. Homer Electric established a system with 9 miles of wire crossing the bottom of the bay to be strung across the land and around the community in 1969 – we were no longer isolated. I had the first post office, with mail delivered by boat once a week. The population was expanding with fishing families, artists, and others attracted to the beauty of the Cove. Now, Halibut Cove, Alaska is a beautiful place for those who live and enjoy its splendor. There are approximately 100 summer time residents who enjoy the 1 local restaurant, boardwalks, and 2 art galleries that culminate on one end of the island. In the winter, the community shrinks to 25 hardy souls who live on the island year around. 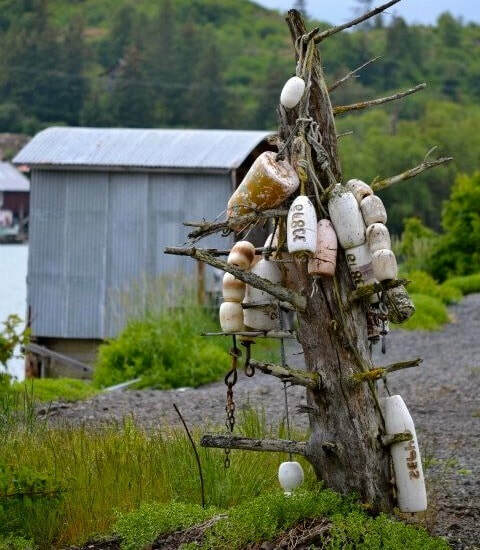 Old buoys collected on a spruce stump in Halibut Cove, Alaska. 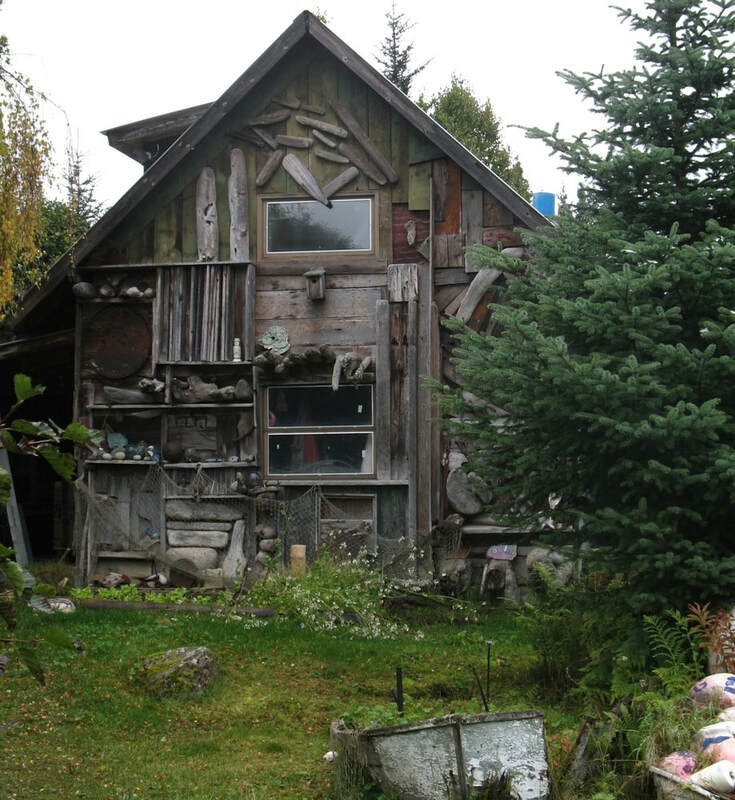 An artists' cabin in Halibut Cove, Alaska. 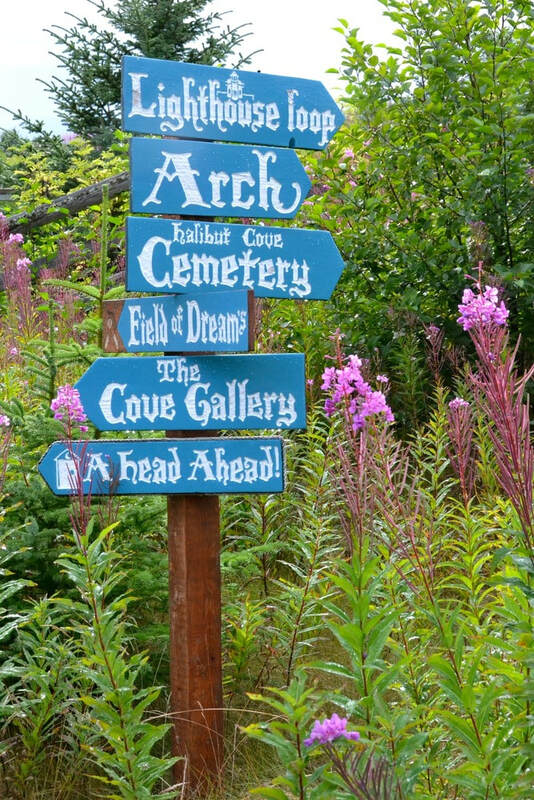 A sign for directions in Halibut Cove, Alaska. Discover Halibut Cove, Alaska’s hidden gem in Kachemak Bay. Our guests can choose from the best of Alaska, all at our doorstep. NOTE: We are in the Alaskan wilderness and sometimes we lose power. Please try both numbers if you can't reach us or are unable to leave a voicemail.